Artworx88-My drawing of Shana (colored with crayola markers!) X3. 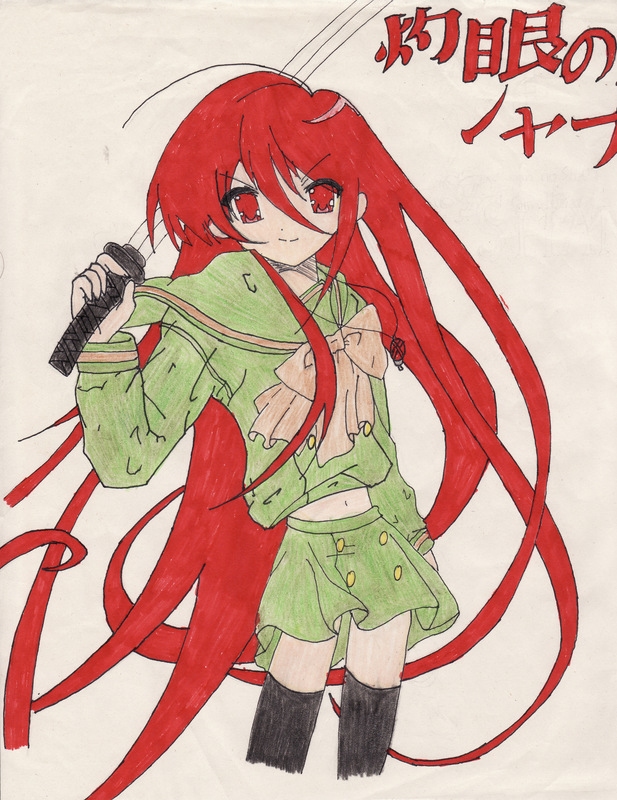 A colored drawing of Shana, colored with Crayola markers. (Only markers I had at the time) I did not trace this! Tracing is not my style.... HD Wallpaper and background images in the Shakugan no Shana club tagged: shana shakugan no shana s shakugannoshana drawing fanart. This Shakugan no Shana fan art contains anime, comic, manga, cartoon, comic buch, karikatur, and comics.